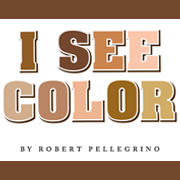 Author Robert Pellegrino offers white Americans solutions to challenge racial stereotypes, tendencies and unconscious habits toward blacks. Author Robert Pellegrino believes all men are created equal. His life has been defined by those words and in his effort to change the mindsets of how whites perceive blacks, he has penned a book called “I See Color,” which documents his journey educating himself on the issue of race — from personal relationships and experiences. 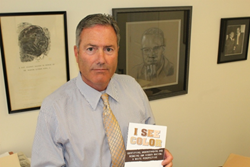 The book offers white Americans solutions to challenge racial stereotypes, tendencies and unconscious habits toward blacks. It deals directly with the issue of race relations between blacks and whites, while providing a plan for America to reach its goal of equality between the races. It provides a blueprint needed for America to reach its final goal of equality between the races. It details common issues with white liberal thinking and provides both analysis and solutions to reduce the hidden, and often unconscious, racism therein. In the book, Pellegrino admits it took him 30 years to reduce his own racism. In the chapter, “The Man in the Mirror,” Pellegrino provides a simple process for whites to get rid of racist habits. Pellegrino believes the process includes an open heart and mind, dropping the denial, letting go of old attitudes and beliefs, seeking out information and knowledge on race relations from those affected by it most — African Americans, implement what we learn and have patience, persistence, practice and perseverance to be successful. I See Color is available on paperback for $17.78 at amazon.com. Pellegrino is available for book signings and speaking engagements. Bob Pellegrino was raised in a nearly all-white town and was educated in nearly all-white schools. Thinking himself to be open-minded and very liberal, his encounters with some black students at college and with some friendships formed thereafter, he began to uncover some hidden biases in his thoughts and actions. Once he began to open his mind to the possibility that he harbored racist sentiments, he dove into the journey of reeducating himself on the topic of race and race relations. He did this by reading numerous books and articles written by black authors, attending lectures and symposiums run by black scholars and dialoguing for hours on end with black friends and colleagues. He came to the realization that most whites have the same “blind spots” when it comes to understanding the dynamics of racism. He founded an organization called SOAR-Speak Out Against Racism, in an effort to educate whites and combat the racism found in the white community. He has written extensively about particular issues around race and has spoken at numerous events as well. He co-hosted a local television show dealing with racial issues between Blacks and whites.